← Pearland TEA Party 2014 Primary Endorsed Candidates! 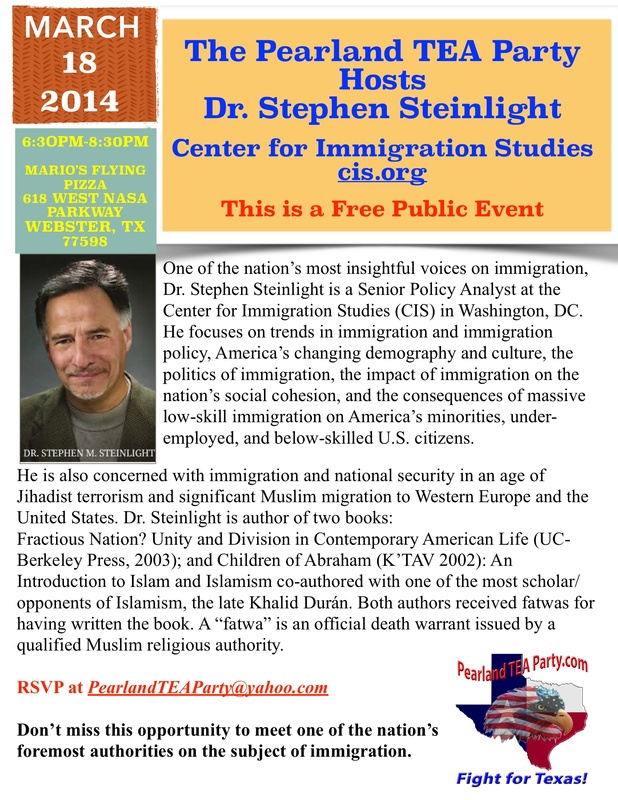 This entry was posted in Center for Immigration Studies (CIS), Immigration, Pearland TEA Party. Bookmark the permalink.